The Trang Airport to Koh Kradan Express Transfer is the fastest way from Trang Airport to Koh Kradan island. 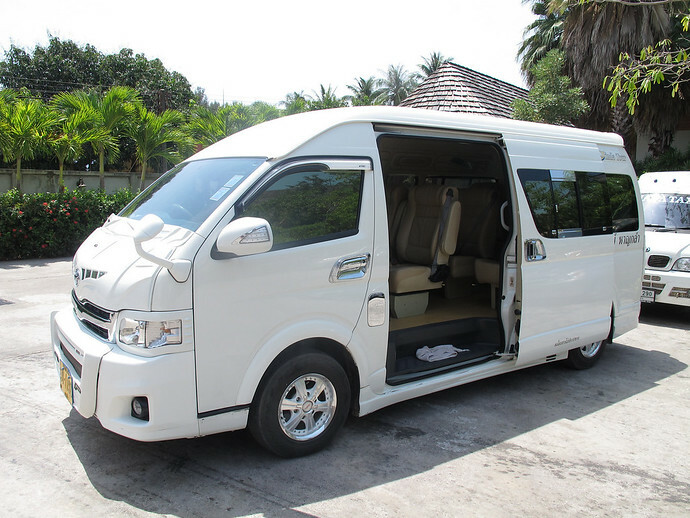 A private aircon minivan takes you from your Trang Airport to the pier in Trang, where you then take a longtail boat on a 1 hour ride to your Koh Kradan hotel. With an Express Transfer, you can transfer on the same day from Trang Airport to your Koh Kradan Resort on your own timetable. You will have no wasted time waiting around for any connecting transfers. The transfer takes approximately 1 hour 50 minutes door to door. Want To Depart From Koh Kradan? If you want a transfer departing from Koh Kradan rather than going to Koh Kradan, please see our complete list of Koh Kradan Transfers and select your required route. PLEASE NOTE: The latest pick up time from Trang Town to Koh Kradan is 15:00 (3pm). Please use 24-hour clock. PLEASE NOTE: The latest pick up time from Ao Nang to Koh Kradan is 13:30 (1:30pm). Please use 24-hour clock. PLEASE NOTE: The latest pick up time from Krabi Town to Koh Kradan is 13:30 (1:30pm). Please use 24-hour clock. PLEASE NOTE: The latest pick up time from your Phuket Hotel to Koh Kradan is 11:30 (11:30am). Please use 24-hour clock. PLEASE NOTE: The latest pick up time from your Khao Lak Hotel to Koh Kradan is 11:30 (11:30am). Please use 24-hour clock. PLEASE NOTE: The latest pick up time from your Tubkaek Beach Hotel to Koh Kradan is 13:00 (1pm). Please use 24-hour clock. If you require an express transfer for more than 7 adults, please contact us directly at enquiries@amazinglanta.com to arrange. Please specify Number Of Adults, Date Of Transfer and your final destination. Your flight needs to arrive at Krabi Airport by 15:30 (3:30pm) to catch the last Express Transfer of the day. (The longtail boat only operates in daylight hours). If your flight arrives after 15:30 (3:30pm) we will not be able to transfer you on the same day. Please choose an earlier flight. Please state your Airline, Flight Number, Port of Origin and Time Of Arrival at Trang Airport e.g. "Air Asia FD3243 from Bangkok - arrive Trang 14:30". Please use 24-hour clock. Your flight needs to arrive at Trang Airport by 16:00 (4pm) to catch the last Express Transfer of the day. 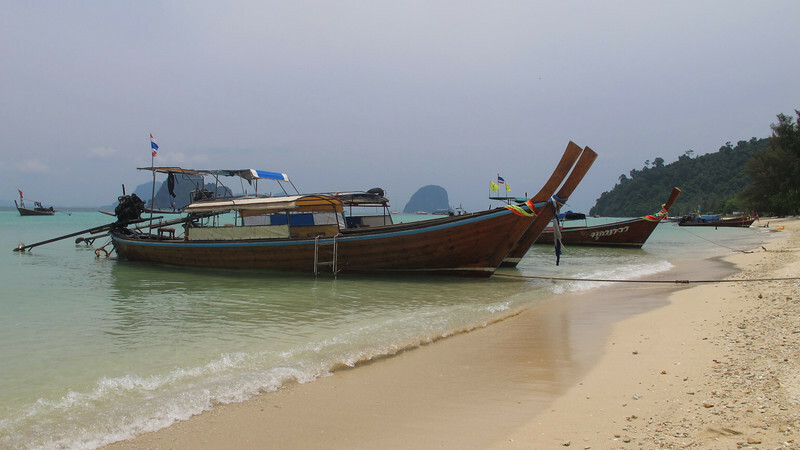 (The longtail boat only operates in daylight hours). If your flight arrives after 16:00 (4pm) we will not be able to transfer you on the same day. Please choose an earlier flight. Still need to book your Tubkaek Beach hotel? PLEASE NOTE: The latest pick up time from Phuket Airport to Koh Muk is 12:00 (12noon). Please make sure you arrive before 12:00 (12noon). Still need to book your Koh Kradan hotel? This transfer is private, meaning that it’s only you and your family and friends travelling in the minivan and longtail boat. 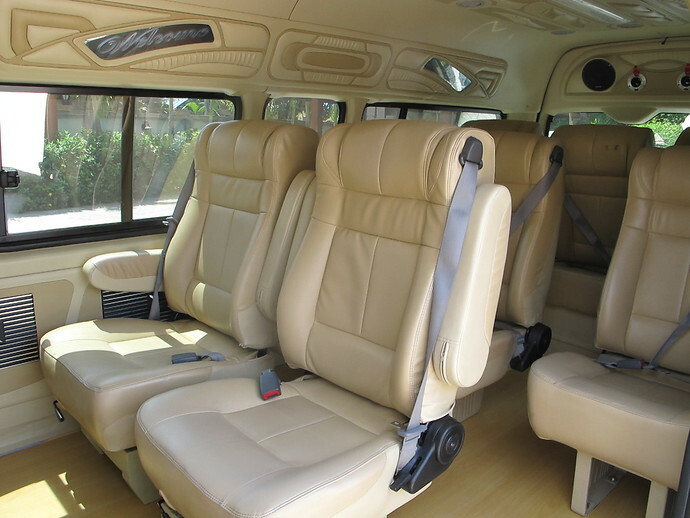 The transfer is not shared with anyone else, and does not stop to pick up other guests. It is only for your group. Because the transfer is private, the price is the same if it is 1 person travelling or 7 people travelling. The longtail boat is large and spacious – it has a roof to protect you from the sun and also life jackets. The captain of the boat will take you directly on to the beach just outside your chosen resort. IMPORTANT: Please be aware when exiting the boat you may have to walk in the water onto the beach. You will need to be wearing shorts, skirt or be able to roll up your trouser legs! Due to the longtail boat only operating in daylight hours, the latest pick up time from your Trang Airport is 16:00.